In anticipation of the AAGSAR #BLOGFEST 2014 I wanted to reintroduce my family history blog and welcome any new readers who love family history or genealogy. I dedicated this to all of my African American ancestors and family who have guided me through my life journey. I was inspired to become a genealogist after seeing the picture on the left of my second great-grandmother Laura. It’s the oldest picture I have of any family member on either side of my family. My grandfather had this picture hanging on his bedroom wall for as long as I could remember. She has the same eyes as my grandfather, and I would stare into them trying to figure out what she was thinking when this picture was taken. There is no identifying information on the photo, and I could certainly try to date when it was taken by her clothing. As I got older, I felt compelled to find out more about her, her family, and everything in between. 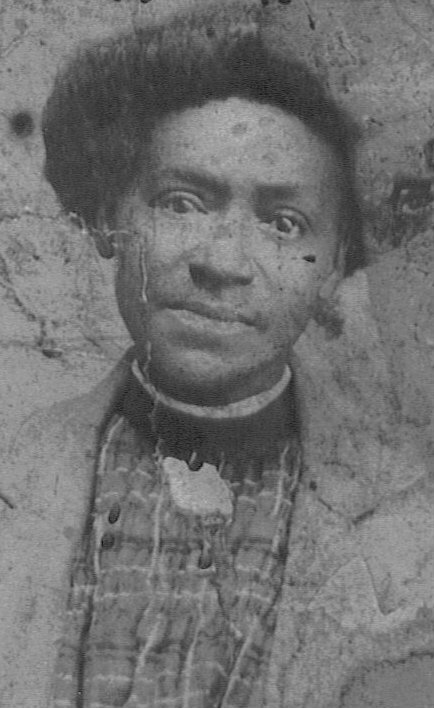 Laura Ann Ware was born around September 1853 in Madison County, Georgia. The state of Georgia did not maintain vital records until after 1919, so I had to confirm an approximate date of birth from census, marriage, and death records. In the 1870 census Laura would have been at least 17 years old. The only federal census I could find that showed her living in Madison County lists her in the household of Jeremiah and Martha Deadwyler. All of the children have the last name of Deadwyler, although I have no documents that support that Laura ever used that name. The date of the census is August 4th, 1870, so Laura would have still been single. On December 4th, 1870, Laura was married to Asbury Neal in Madison County, Georgia. On this record Laura’s maiden name is shown as Ware. In 1880, the census shows the Neal household still living in Madison County. Asbury and Laura Neal are living with their children Martha (8), Arthur (6), William (4) and Gabriel (2). The 1900 census lists the Neal household in Banks County, Georgia. I believe the boundary lines for the county changed and that the family still lived in the same place as in 1880. Asbury and Laura are now the parents of 11 children: Willie (23), Mary (18), Francis (16), Savanah (13), Samuel (11), Roy (8), Lonnie (5), Charlie (2), and Gabriel (21). I am still curious why Gabriel was listed at the bottom of the list when the rest of the children are in age order. It suggests he is a step son or son-in-law. When I follow Gabriel to his death in Ohio in 1946 his father is listed as Asbury, but his mother is “unknown”. This also suggests that Laura was not his biological mother. Martha Deadwyler is also living in the household listed as mother-in-law. 1910 is the last census Laura is listed in. She and Asbury are in the household along with Roy (18), Lonnie (15), Charles (13), and Martha Ware the mother-in-law. I thought it was interesting that Martha is now using the Ware surname. She is widowed, so perhaps she is using her maiden name as it is shown on Laura’s death certificate. Laura passed on October 5th, 1922 from uremia poisoning. She was buried in Hurricane Grove cemetery, and her father Russ White is named as the undertaker. Her spirit lives on in all of her descendants, and I am proud to have a photo reminder of the strength and bravery that she must have had.